Two leaders of Trump’s Native American Affairs Coalition floated on Monday the idea of giving tribes more control over their land, which Reuters described as “politically explosive.” Some 55.7 million acres (225,000 square kilometers) of Native American lands are being “held in trust” for the tribes by the Bureau of Indian Affairs, an agency under the US Department of the Interior. Ross Swimmer, a co-chair of the Coalition and former chief of the Cherokee Nation, said it was possible to turn over reservation lands to tribe members without opening them for sale to outsiders. The tribes are technically sovereign nations under a series of treaties signed with the US government during the 19th century. 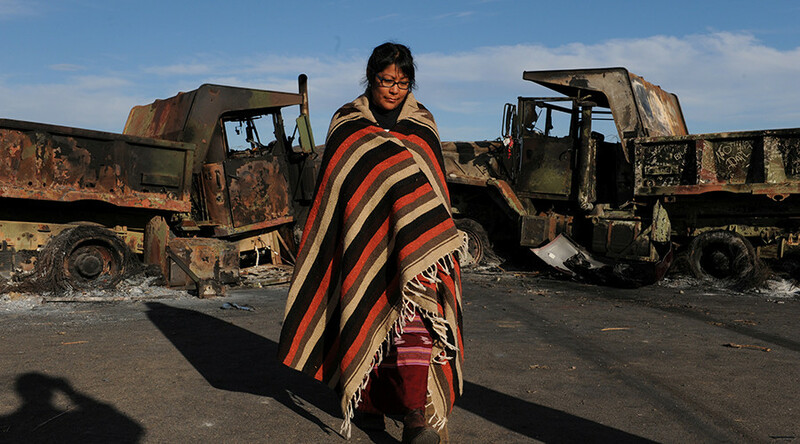 Natives on the reservations suffer from high rates of poverty, substance abuse and suicide. However, the tribes also sit on approximately $1.5 trillion worth of energy resources, according to a 2009 estimate by the Council of Energy Resource Tribes, a tribal energy advocacy. In 2008, BIA officials told Congress that the reservations contained about 20 percent of untapped oil and gas reserves in the US. The Crow Nation in Montana and the Southern Ute in Colorado have made mining and drilling deals, hoping to generate funding for health, education and infrastructure. The projects have progressed slowly, however, since federal stewardship of the land translates into a lot of red tape. "The time it takes to go from lease to production is three times longer on trust lands than on private land," Mark Fox, chairman of the Three Affiliated Tribes in Forth Berthold, North Dakota, told Reuters. Their operation produces around 160,000 barrels of oil per day. "If privatizing has some kind of a meaning that rights are given to private entities over tribal land, then that is worrying," Fox said. "But if it has to do with undoing federal burdens that can occur, there might be some justification." Privatization is an ugly word among the Native Americans, however. The tribes lost some 90 million acres under the 1887 Dawes Act, which parceled out Native land to individuals. The practice was only abandoned in 1934, with the Indian Reorganization Act. “Privatization of Indian lands during the 1880s is widely viewed as one of the greatest mistakes in federal Indian policy,” said Kevin Washburn, member of Oklahoma's Chickasaw Nation and assistant secretary for Indian affairs at the Department of the Interior between 2012 and 2015. Mullin and Swimmer said the Coalition intends to preserve tribal control of reservation land, and keep the $20 billion or so in federal aid to the tribes flowing. They maintain, however, that the existing arrangement is preventing the tribes from benefiting from the resources in their possession. 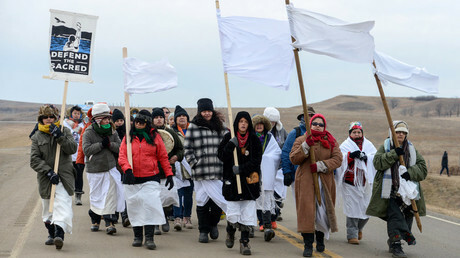 After months of protests by Native Americans and environmentalists, the federal government decided on Sunday to revoke the easement for the construction of the pipeline under Lake Oahe. Energy Transfer Partners, the company building the pipeline, said it would go ahead with the construction nonetheless.